We told you we were going to begin getting active in the philanthropic world and now we have! 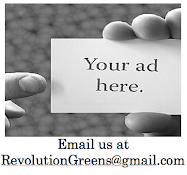 We have teamed up with Kiva.org to form the Revolution Greens Lending Team. We will focus on giving micro loans to individuals in impoverished areas looking to provide food and beverage to their communities. With a just a small donation on the page we can begin to make a real difference in the world. Watch the video below to see exactly what we will help accomplish and the join the team by clicking the link below. There is no better time to make a change for the greater good than right now! We are trying to make or create a difference. But we not think why we not make this difference. If we are doing this then why we not understand that how we change https://customessaysreviews.com/edubirdie-com-review/ work. And that is the time in which we think first and then do anything.